I also got to see some of the laptops that are being sent to children in developing countries. We had two of them working at one point and had them exchanging images with an ad-hoc network mode! They also had video recording capabilities using the built in webcam. 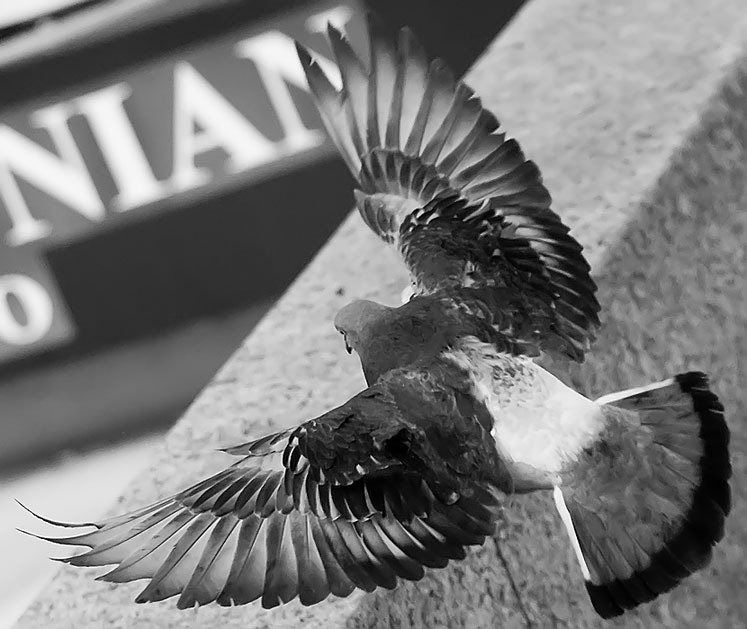 A photo of a pigeon in flight, in the winter at Queens Quay, Toronto, Ontario, Canada. High ISO and Fast Shutter Speed. 1/4000 sec @ ISO 800 - F/5.6.